Tubal litigation is a medical procedure offered to women who do not want to get pregnant. It is a common way to ensure birth control, and the procedure involves tying up a woman’s tubes so she won’t get pregnant. Many women chose this procedure instead of being on birth control pills to prevent pregnancy. But, there have been many complaints about this procedure and a lot of women who had tubal ligation experience what is commonly referred to as post tubal ligation syndrome. Doctors have developed some ways to treat this post tubal ligation syndrome. Most women complain that they experience negative effects from the tubal litigation, causing them discomfort, pain and stress. The post tubal ligation syndrome may be a result of physical and hormonal changes that take place in the woman’s body. These women report increased menstrual bleeding, vaginal itching and dryness. There are also complaints about cramps, bloating, weight gain, and insomnia. Symptoms of menopause like mood swings, sweats, and hot flushes are common complaints among these women.For women who have had a tubal ligation procedure, but now wish to have the procedure reversed so that they can become pregnant, the doctor will perform the tubal reversal using a mini laparotomy procedure. Tubal reversals are quite simple and are performed as an outpatient procedure. Recovery and scarring are usually minimal, and the patient can often get pregnant within six months after the procedure.Eligibility for this type of surgery depends largely on the manner in which the tubal ligation was performed. Before deciding whether or not you are a good candidate for a tubal reversal surgery, the surgeon will make sure there is enough fallopian tube tissue remaining and that the fallopian tissue is in healthy condition. Other important factor that will be considered include the age and overall health of the patient.The surgery is performed under general anesthesia, and you must be in good health. Once the surgeon determines that there is sufficient healthy tissue remaining, and that you’re in good health, the procedure can proceed. If you have a low number of eggs remaining, you may consider other treatments or procedures like in vitro fertilization. It is important to keep in mind that tubal reversals pose some serious risks, including bleeding, anesthesia complications and infection. A small number of women who become pregnant after a tubal reversal experience a potentially fatal condition known as ectopic pregnancy. Symptoms of this serious condition include dizziness, vaginal spotting, lower back pain, and low blood pressure. 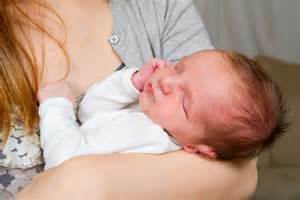 You could learn more about Post Tubal Ligation Syndrome at Tubal Ligation Care main website http://tuballigation.org/. This entry was posted in Tubal Reversal and tagged post tubal ligation syndrome, Tubal litigation, Tubal reversals by alberta2591. Bookmark the permalink.